I did a post below on my favorite movies and have been meaning to do the same with books. Here they are. My top five in no preferential order. Faulkner was a literary genius, particularly in capturing internal conflict. His most popular book is Sound and the Fury, but that’s my least favorite. 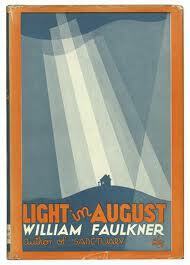 Light in August is the one to read!